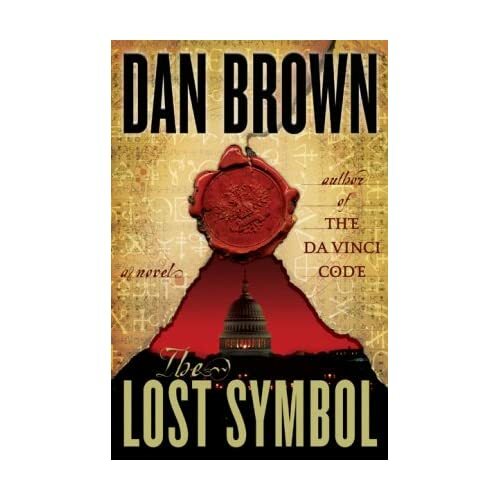 Just finished reading Dan Brown’s latest novel, The Lost Symbol. As expected Mr. Brown has produced an un-put-down-able thriller. The story has similar premise that of Angels & Demons and The Da Vinci Code. It depicts Robert Langdon’s yet another mystery filled adventure where he must solve riddles about mystical symbols to save the world from catastrophe. Classic International Thriller. Here also Dan Brown juxtaposes modern science and ancient faith to unveil some startling revelations. I have always loved Dan Brown’s novels for this element, his ability to draw parallels between religion and modern science to promote a more peaceful coexistence. Despite of having many flaws in terms of story telling which reviewers from prominent publications have pointed out here, here and here, for me the book succeeds because you don’t read a Dan Brown novel just for the thrill but you expect learn about quite a few interesting facts (or controversies) about history. Quite a few will claim that all of what he shows may not be true or shown in fair light with proper criticism, but everybody has opinions which vary from what actual fact is, some more than others. Anyways I am not here to review the book. I have since learned that my reviews are not really reviews but essentially my ramblings about the work. What I try to do is to share the thoughts and feelings that arise from experiencing the work art in question. Though in the defense of the book I would want to say that many reviewers miss the point of popular entertainment, no matter a novel, a song or a movie, is to entertain. The Last Symbol not only entertains but it succeeds in giving an important message of harmony between mass religion and modern science. What I wish to discuss today is mankind’s obsession about miracles. A person must be able to perform some miracles then only he can be regarded as saint. The miracle dwarfs his hundreds of deeds of love and compassion. The bigger the miracles, more is the number of followers. This leads to hero worship and in the bigger manifestation to the phenomenon image worship. Here rather that turning to inner strength and self belief to overcome difficult situations, we pray to some God or Deity to solve our problems for us. Here religion looses its true meaning as a concept to empower an individual. It rather establishes the insignificance of an individual, a mortal toy in the hands of a much larger power. This is why I believe religion as more of a social device to keep masses in check rather than truly empowering them. But one can also argue that intellectual growth and empowerment has always been a personal journey for every individual where he/she must work diligently towards the goal. I also have a strong opinion against rituals of any kind. Many argue that there is systematic science behind these rituals proposed by various religions. But how much effort is taken by these religious establishments to make sure that the followers understand true nature of these rituals and why must they be performed and how they help the individual in his personal/social empowerment. What is generally practiced is performing the ritual step by step as per given in some religious text and in case of older religions like Hinduism, many versions of these texts exist which can easily confuse the follower. In extreme form this word by word following of text leads to religious fanaticism. Coming to the main objective of this post, why we are so obsessed with miracles is because it lets us common people believe that we are common, thus incapable of performing extraordinary feats. We, by definition of being common, can’t be performing what heroes, saints and the Gods can do. Awed by these superhuman expectations we don’t even consider a possibility that we common people can produce miracles. Rather than looking for miraculous superhuman abilities even if we truly try to share whatever we have with love and compassion, the collective effort produced will be no less than a miracle!